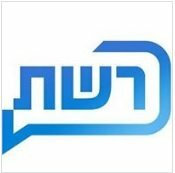 News TV Channel / Reshet is one of the two concessionaires running the Israeli commercial television channel, Channel 2 since 1993. Reshet is considered one of the most successful television networks in Israel. On November 4, 1993, it began broadcasting on the commercial Channel 2 under the Second Israeli Broadcasting Authority. With the channel's establishment, three concessionaires were chosen: Keshet, Telad and Reshet. The three concessionaires which received a broadcasting contract for one decade decided they would exchange among themselves the broadcasting days in a week so that one gets three broadcasting days, and the other two get two. In April 2005, a decision was made by a committee of the communication ministry that by the end of the decade only two concessionaires will receive broadcasting contracts for the following decade. Of the four competitors (the fourth being Kan), Keshet and Reshet were chosen to lead the broadcasting schedule. Each of the companies broadcast 3 or 4 days a week—and change every 2 years.